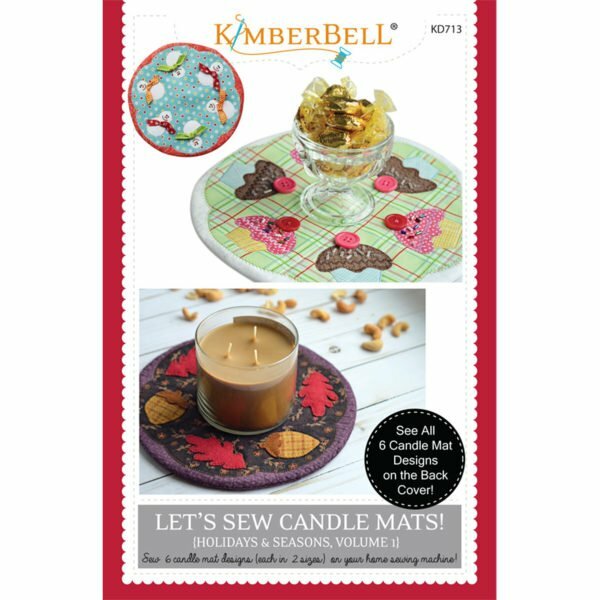 Inspired by traditional wool folk art, Kimberbell has created six adorable candle mats for sewing. With our pattern, simple fusible web appliqué, and your sewing machine, you can finish this fabulous project in just an afternoon! Each design comes in 2 sizes!